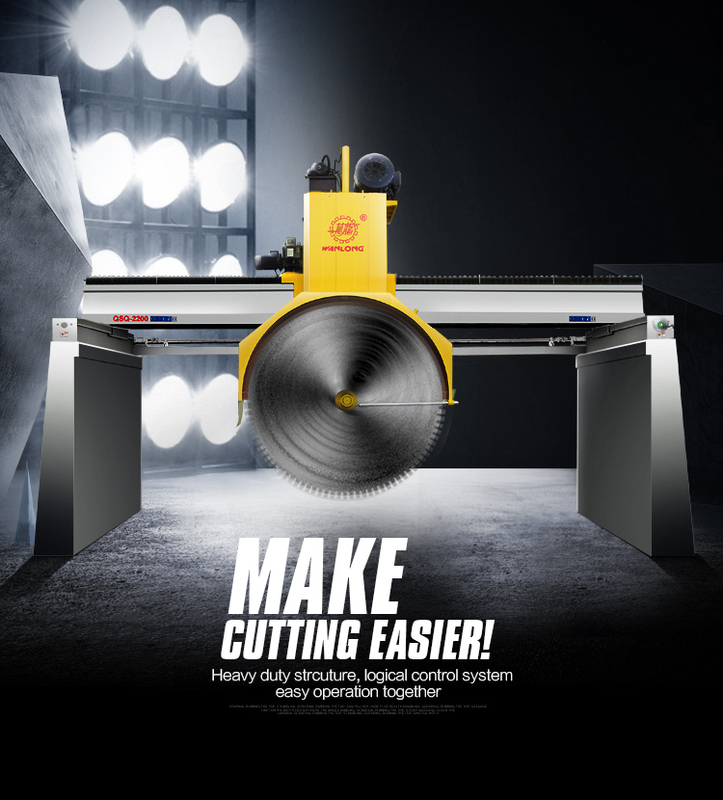 ---ourblock cutting machine combines different diameters of blades working simultaneously as multiblade cutting. ---The crossbeam moves for feeding so that the table for block is not necessary ( which does not supply along with machine, only available upon request ). ---Heavy duty strcuture, logical control system, easy operation together with " Wanlong" blade give high production and also make the finish slab with flat surface, no tapper. 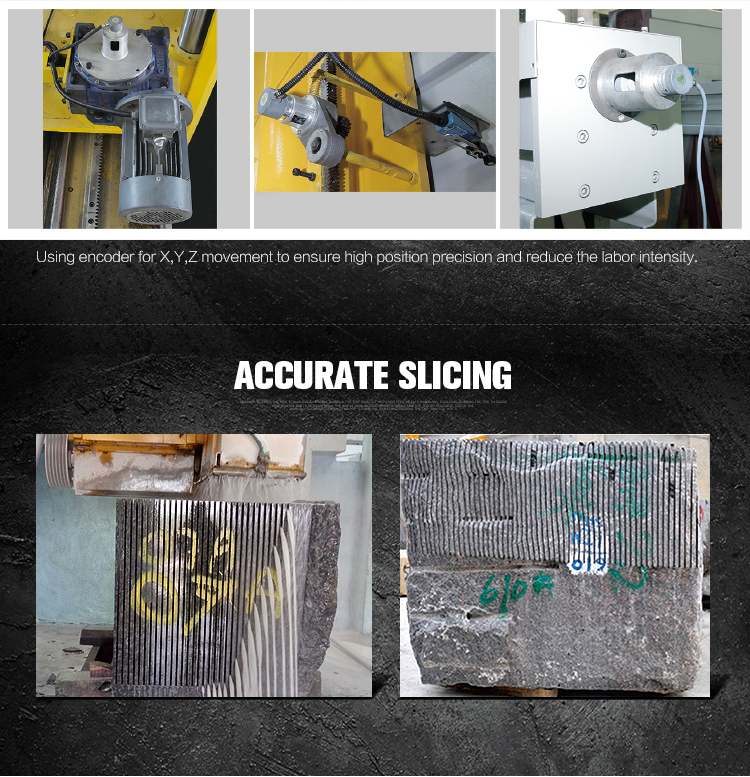 ---The block cutting machine cutteris also flexible in modification for Single blade cutting. Delivery: 35-45days as per produciton schedule and quanity. -by sea:Â Â can be Less than Container Load and Full Container Load; freight is according to the shiping companyÂ Â quoation to your seaport. -you can consult us when you make inquiry. - fast deliver time: 7- 15 days. Â Â to rough idea: most of order lead time is 7Â days-10days. Â Finshed product: All produced product has been inspetion and approved before shipment. -any quality related problem that we are care and will solved for client. Diamond tools: 's mission is to make no stone hard to cut in the world, to help customer save production costs. 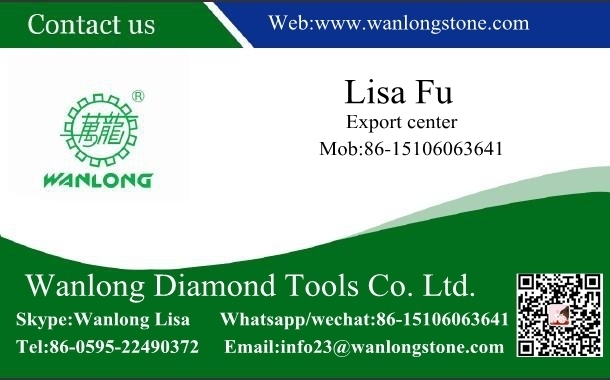 More than 10 years in the line of diamond tools industry, 's technological innovation improves the cutting efficiency, and save the cost for end-users. 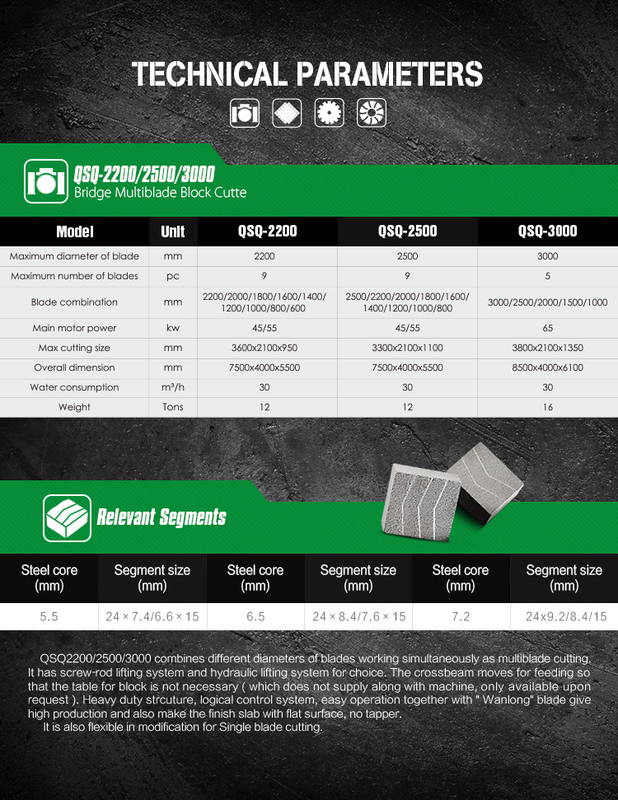 Stone Industry: developed Aluminum Plastic Laminated Panel, Honeycomb Laminated Panel, Ceramic Thin Marble Panel, Fiberglass Thin Granite Panel, Fire Proof Thin Granite Panel and other new stone products. 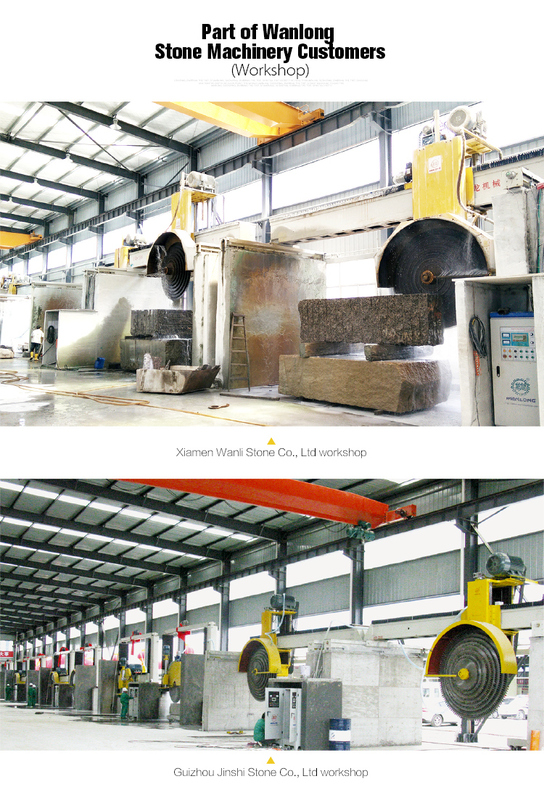 Not only save stone (3-5mm super thin stone, the original 1-3cm reduced to 3-5mm), but also let stone products have properties (impact resistance, high-temperature resistant, fire resistant, light weight, large single size 140x280cm ), expanding the application of the stone (high-rise building interior wall decoration, airplane and yacht interiors). 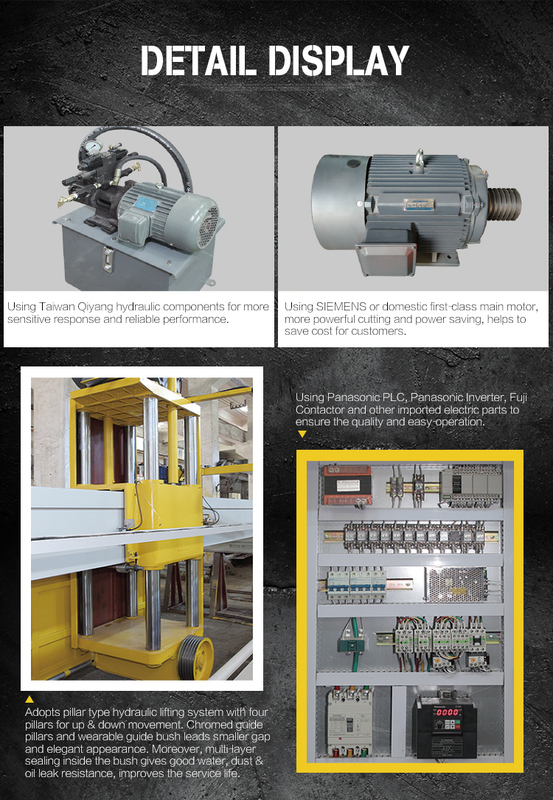 Machinery: Mechanical's mission is to provide customers with advanced technology solutions for efficient tools production. 18 years' practical experience in stone machinery industry contributes to rich experience and Technological advantage of diamond tools. machinery will fit the needs of customers with more sophisticated services to fulfill the mission.